The memorable experiences gained at LBG offer huge benefits for our young people by helping them to develop their self-esteem, confidence and communication skills. As one of our Youth Workers put it “You can do more effective youth work in one weekend at Little Bryn Gwyn, than in a whole six months in youth club”. 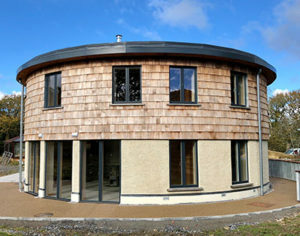 It also offers respite space for families who may never have the chance to have a holiday. 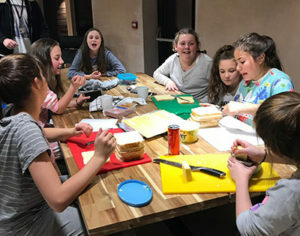 Groups from the Valleys Kids projects visit Little Bryn Gwyn throughout the year and participate a wide range of activities including coastal walks, camping, orienteering, bike rides, team building and bush craft sessions. They also take part in Arts & wellbeing residential sessions, learn about the local ecology and participate in helping to develop and improve the 6 acres of land that surround the cottage. The transformation from the original 2 up 2 down ramshackle cottage is startling. 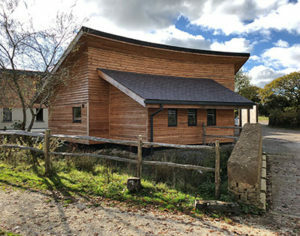 Phase 1 is complete – a beautiful 25 – 30 bed double storey Eco-Learning Centre for residential programmes, outdoor learning and environmental education at Little Bryn Gwyn. We are delighted to have won the People’s Postcode Lottery Dreamfund, which kickstarted the build process and secured the support of many Trusts and individuals. 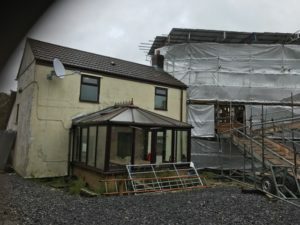 Fundraising is underway to complete the Activity Centre Wing which will adjoin the Residential Centre and extend the benefits for both participants and beneficiaries. Valleys Kids engage with disadvantaged groups giving them opportunities that would be inaccessible to them. We take them out of their comfort zone and help them to build confidence, self-esteem and grow their aspirations. 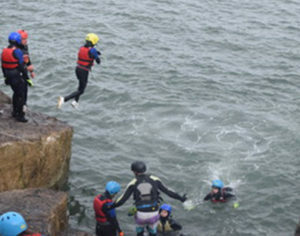 Sessions at Little Bryn Gwyn are life-changing, giving children and young people a sense of what they are capable of and building happy memories.